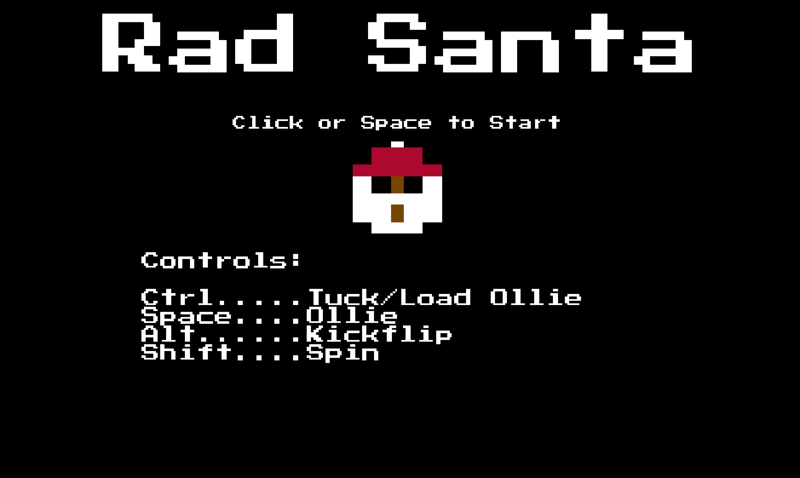 Rad Santa is a little game I made to participate in the Extra Credits holiday 2018 game jam. 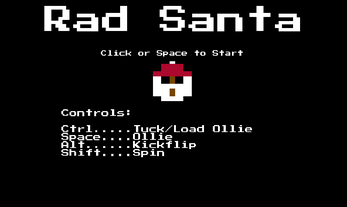 You'll take on the role of skating Santa. 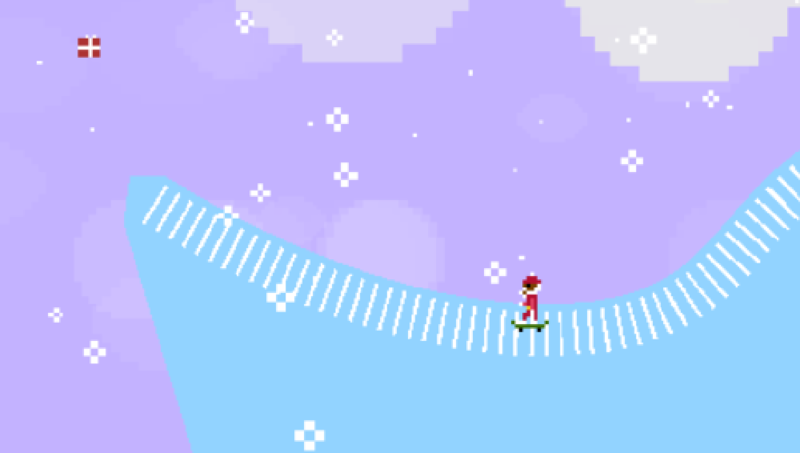 In pursuit of presents and sick tricks, Santa heads out. Can you make it all the way to the left?